Survey results show many want new schools, but are residents willing to pay for them? Molalla River School District this fall asked community members to engage in an online "ThoughtExchange" about the district's facilities. The results reveal that the community sees the need for new school buildings. 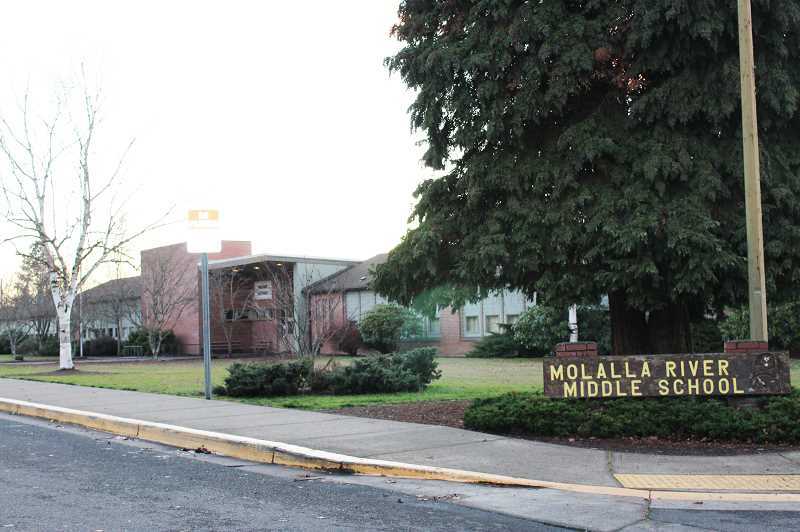 In recent years, Molalla River School District has placed two bond measures on the ballot in attempt to approve spending to replace district facilities that are in poor condition, such as the middle and elementary schools. Both were voted down, and the district is left with the burden of maintaining the facilities. The district recently released the top thoughts from the ThoughtExchange—some of which addressed the need for new facilities—and the district's responses to those thoughts. "As good stewards of public resources, the Board and administration take this responsibility seriously," Superintendent Tony Mann said in his release of the exchange information. All of the community's comments were in response to the question, "What are your thoughts or questions about the future of our facilities?" One of the top thoughts suggested outright that the district needs to replace the middle school, noting that "our students deserve" it. In response, the district acknowledged that replacing the school is a standing community priority. But Mann told The Pioneer that the replacement could only be accomplished through a bond. "Some of the goals in our long-range facilities plan can only be accomplished with resources like those that would come from a voter-approved bond issue," Mann said. "Among these is the longstanding goal of replacing our middle school with a modern facility." Mann said the school board is not putting a bond on the ballot in the upcoming election, but may consider it in the future. Another top thought from the community was: "Construction updates to our schools are needed to ensure safe physical space for the students in our district." The district replied, saying it received $25,000 in grant funds to conduct a seismic assessment of aging facilities and then used those results to apply for a state grant to follow through on those needed upgrades. The district should find out if they will receive the second grant by summer. Community members also addressed security concerns, to which the district listed recently completed security updates. The district has installed fencing around Mulino Elementary School's south campus exterior walkway and improved pedestrian safety at Mulino. The district has also purchased an emergency system for radio communication across the entire district and has employed a full-time school resource officer. The full ThoughtExchange memo from the school district can be found here.